From time to time we read something about heavy work conditions in large factories, but do we ever stop for a minute and really think about the workers? 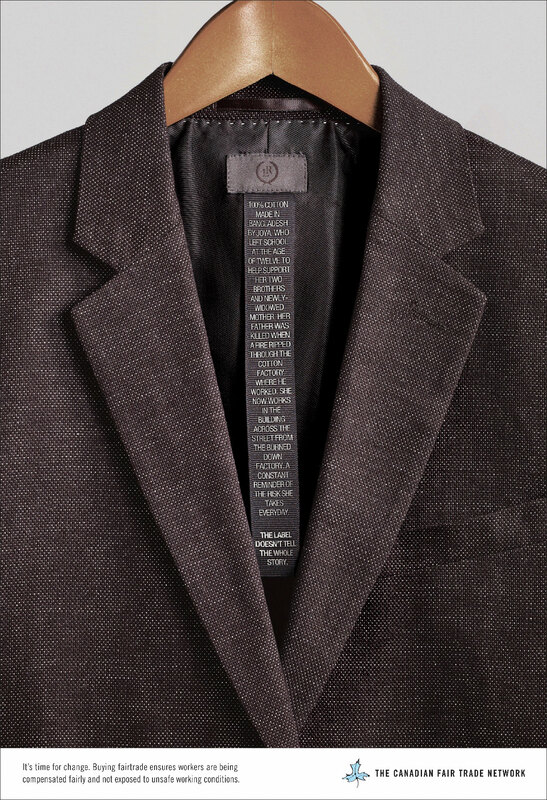 Do we even want to know more after we put on our new jacket? 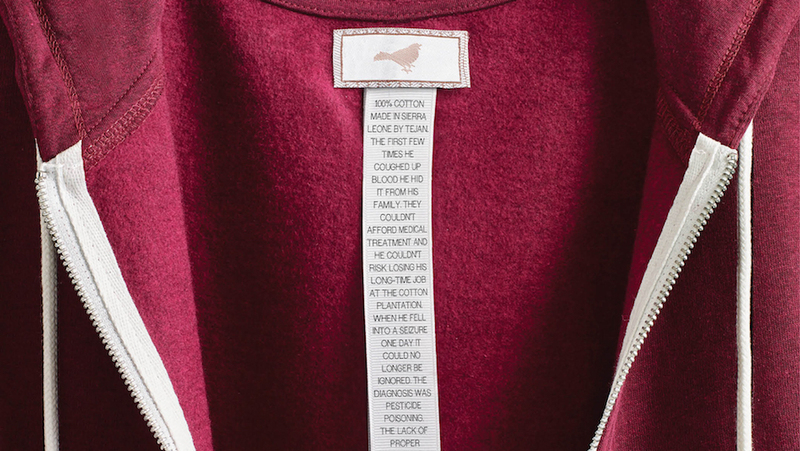 The Canadian Fair Trade Network came up with an amazing idea to inform people about the terrible conditions workers are in, and what they go through in order to make comfortable clothes for us. 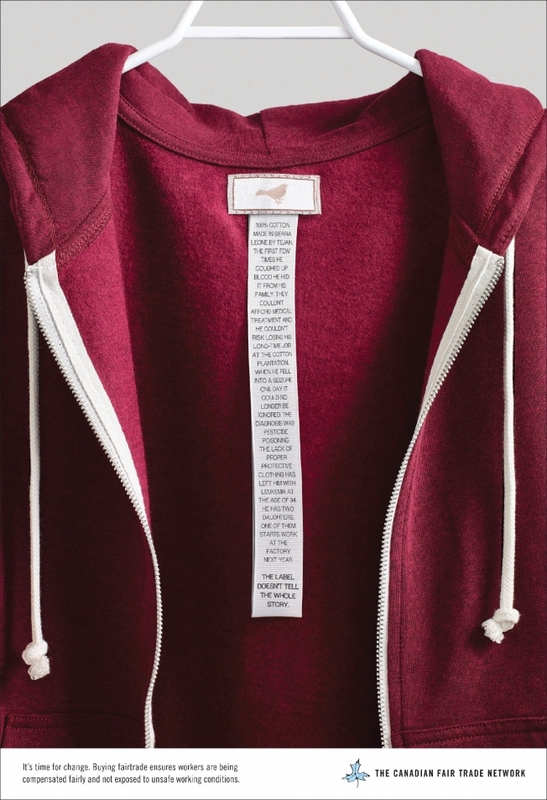 These sad stories were written on the labels of clothes, so you can’t miss them even if you want to. 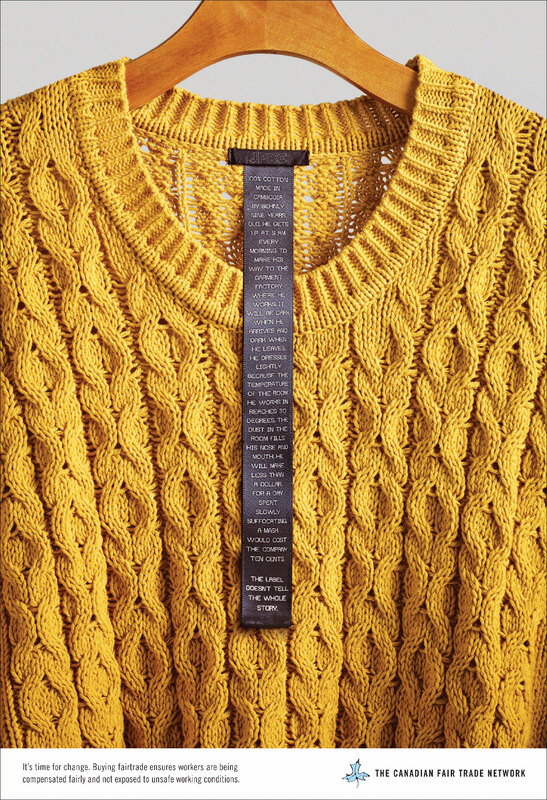 The Creative project conducted by agency Rethink shows us everything we should know but don’t know.